Congratulations are due to Dumfries & Galloway based writer, teacher and musician Alan McClure, who has landed himself a publishing deal with Beaten Track Publishing for his children’s book Callum and the Mountain. Alan’s 'quirky' book, out in August, was originally shortlisted for the Kelpies Prize back in 2016, while he was also working with Karen Campbell as part of Wigtown Festival Company’s mentoring scheme for local writers. We invited Alan and Karen, who also has a book out this year, to talk to us about their mentoring relationship and the importance of writer networking, and to share more about Alan’s exciting news! Alan, what did you hope to gain from the WFC mentoring scheme? To be honest, like a lot of writers, I was just in ‘try-anything’ mode – I knew I needed to be a less secretive and solitary writer, and mentoring seemed like a positive way to achieve that. Do you think your writing has developed as a result of working with Karen? She was incredibly helpful where consistency of voice was concerned – I think she got what I was trying to do straight away, and she flagged up a few spots where it lost its way. She also has a dedication and work ethic which I would really like to emulate, but I’m a long way off yet! Karen, what was it like mentoring Alan? Alan was a great mentee ­– being a teacher and a performer, he’s already an engaging communicator, and the children’s novel he was working on is a really original, clever book. For a short novel, he packs a lot in, weaving themes of environment, nature, faith and friendship into the story. We talked about voice and character a lot, as well as the structure and pace of the book, and Alan was always keen to listen and take fresh ideas on board, while also being clear on what he was aiming to do with the story. And that is exactly the point of mentoring! What do you think is most important about the mentoring process? Karen: I think the main thing about any mentoring process is that the mentor doesn’t influence the work. It’s not about me rewriting Alan’s book. What I mean is that a mentor should hold a mirror up, allowing the writer to see their own writing more clearly, but perhaps from different angles. Any discussion of your work should allow you, the writer, to completely focus on what it is you want to do with the piece, what it is you are wanting your readers to feel, and then hone and shape the work to be the best possible version of itself it can be. All I really did was ask some awkward questions, then let Alan come up with the answers! Would you recommend mentoring schemes like ours to other writers? Alan: I’d recommend any opportunity to share work with another writer. Mentoring worked well for me and I was very lucky with my mentor – it’s definitely worth a look. Karen: Absolutely. I did a Creative Writing Master’s at Glasgow Uni and, for me, the best part of it was just being with other writers. Writing tends to be a solitary profession, and so being able to talk about your work and bounce ideas around with another writer is a gift. The mentoring scheme is a way of encouraging writers to gain confidence in their own abilities, explore options around how and what they might write about, and engage with ways of developing their writing in the future – including meeting other local creatives and tapping into local writing opportunities. Alan, tell us more about your forthcoming book! It’s called Callum and the Mountain and it’ll be out in August. It’s a modern faery tale of sorts set in a wee West Coast village called Skerrils. Twelve-year-old Callum Maxwell and his four friends come to the attention of a bizarre nature spirit called Things-Of-Green, who forces them all into incredible and occasionally terrifying adventures. It’s written in a kind of storytelling style so it’s great for reading out loud. It’s also got a wee smattering of Scots in it, because that’s how we talk. How did you land your publishing contract? Down a path paved with rejection slips … The book was actually shortlisted for the Kelpies Prize during our mentoring period, so it had received a bit of notice, but it certainly wasn’t snapped up. I worked through dozens of agents and publishers, but finally got a nudge from another writer friend, Paul Magrs. He said he’d just enjoyed a book put out by Beaten Track Publishing, written by a pal of his, and he thought they might pick me up. I had a look, liked what they stood for and sent it in. Debbie McGowan, the proprietor, liked it immediately and to my eternal surprise and gratitude said she’d like to publish it! Karen, how did you feel when Alan got his publishing deal? I was delighted for him. I had a wheen of rejections before I got published, and the feeling you get when you see words ­– indeed worlds – that started out in your head actually set out on the printed page, when you can hold your story in your hand and say, ‘I made that,’ well it’s just amazing. Putting yourself out there, sending off to agents and publishers, can be scary, so to end up with an actual, tangible book to hold is such a reward. I think, for most writers, getting published is also a massive confidence boost for your creativity. It gives you faith in your writing, when others believe in you too, and that tends to kick-start ideas for even more stories. What advice would you give to aspiring authors looking to get published? Alan: I’d say don’t compromise too much. I got a list of suggestions about what I could do to make the book more commercial, and it would have been pretty easy to follow that advice (which, by the way, was sensible and understandable). But I knew this wasn’t that sort of book, and I decided to plug away with it at its quirky best. To be honest, though, I don’t know how much longer I’d have held out – I’m glad I found Beaten Track when I did! Karen: Treat it like a business. By that I mean write often, break it into regular chunks, build up fragments like bricks in a wall, or stitches in a tapestry. You’ll have days when inspiration strikes and the writing just flies, and other days when it’s like a barely dripping tap! But if you turn up at the page each day, you’ll have more written at the end of the week than you did at the start – and your story will start to knit itself together. Treat getting published like a business too – make sure your work is as polished and tight as you can possibly make it before you send it off to agents or publishers or competitions. Target who to send to as well – I used the Writers' & Artists' Yearbook, then sent sample chapters of my first novel out to three or four agents at a time. If you think your work is a bit like another writer you admire, find out who their agent is and track them down too! Plus, keep the momentum going – enter competitions, start another piece while you’re waiting for responses, go to writer events, open mic nights, etc. It all helps to keep you connected and focused on the writing world. Alan, what are your next plans? I’m in the middle of about five novels right now, but the most fun is ‘Malkie in Malawi’ about a lovable wee Glasgow bam who gets the chance to visit Malawi when his teachers discover he’s much smarter than he’s been letting on. I’m still writing entirely for pleasure – one publication doesn’t make a career – but it would be absolutely lovely to be able to do it for a living. Finally, a random question for you both: which books or authors would you take with you to a desert island? Alan: I lived in the Peruvian jungle for over a year and I had a huge Dickens omnibus, which lasted me well, so another of those would be nice. I also keep meaning to get into Iain M. Banks – maybe this could be my chance! Karen: One I think I’d like to read all over again that I’ve just finished is Milkman by Anna Burns. Amazing writing, and such a clever, warm, deep novel about small minds and big hearts. As for authors, probably my mate Helen Fitzgerald, who wrote The Cry. She is an Aussie, so I’m sure has inbuilt survival skills, and is so funny that we’d probably just laugh all the time, even if our castaway shack fell down. Plus it was Helen and her husband, Serge, who first took us to the tiny Tuscan village which became the inspiration for my new novel, The Sound of the Hours, so I definitely owe her a holiday in the sun! 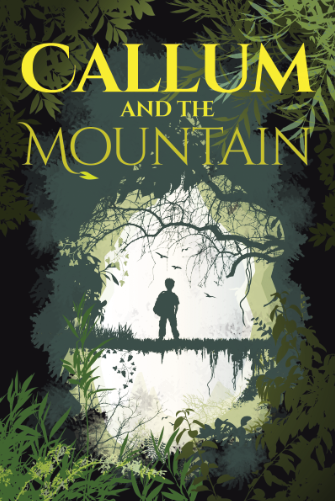 Alan’s book, Callum and the Mountain, will be out in August, published by Beaten Track Publishing. We’re all looking forward to hearing more about Alan’s book at this year’s Wigtown Book Festival! 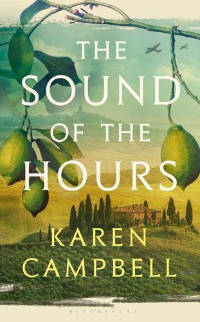 Karen’s latest novel, The Sound of the Hours, is out in July, published by Bloomsbury Circus, and you can also see her at our Writers’ Gathering in Wigtown on 11th May, delivering a workshop on ‘Make writing your business’.